By 10/27: $20 (or 2 meal swipes). After 10/27: $25 for dinner. 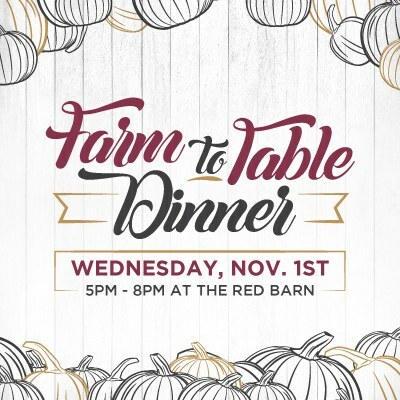 Come celebrate the Harvest with a special Farm-To-Table dinner featuring six different dining stations and representatives from seven local producers. We’ll be making cocktails from Maker’s Mark Bourbon and we’ll be showcasing some incredible produce from local farms. The menu includes: smoked pork belly, chicken sliders, pumpkin soup, hummus and cauliflower crostini, a local apple galette with vanilla ice cream, Maker’s Mark cocktails, and a local cheese and charcuterie table. The Sustainability Council will also be presenting our inaugural Josh Smith Memorial Sustainability Award at the event. We will also be collecting your old pumpkins, jack-o-lanterns, and other fall harvest decorations for composting at the Red Barn throughout the day. Tickets are available now at any UofL Dining location, or at the door. Students may use two meal plan swipes to access this unique event.